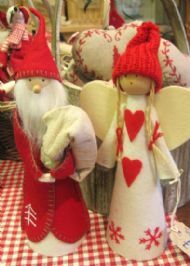 Gorgeous wood and felt Santa tree topper. Hollow bottom for mounting on Christmas tree or just a standing decoration. 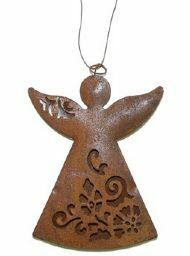 Metal tree decoration with ornate cut out design. Wire hanger.